Racetams, the colloquial name for a group of structurally identical nootropic chemicals ending with … “racetams”. We regard them on our site as supplements but they indeed are drugs. The invention of the Racetam family of drugs happened accidentally. As Racetams were not being formulated as mental enhancers but designed as a cure for motion sickness. Unanticipated discoveries similar to this are widespread in pharmacology. The most famous Racetam is called Piracetam, others include: Aniracetam, Oxiracetam and Pramiracetam possess a 2-pyrrolidine nucleus comprised of nitrogen , oxygen and hydrogen. Learning improvements, enhanced memory and focus, elevated mood and high energy levels are some of the effects of Racetams. Stimulation of cholinergic receptors of the neurotransmitter acetylcholine is the mainstay of mechanism of Racetams. These also boost glutamate uptake via stimulating AMPA and NMDA receptors. About 19 diverse Racetam supplements have been contrived ever since the invention of Piracetam – the first Racetam compound. The whole list of Racetams include: Aniracetam, Coluracetam, Brivaracetam, Dimiracetam, Fasoracetam, Etiracetam; Imuracetam, Nebracetam, Levetiracetam, Nefiracetam, Oxiracetam, Nicoracetam, Phenylpiracetam, Piracetam, Phenotropil, Pramiracetam, Rolziracetam, Rolipram and Seletracetam. Most of these substances are employed for many different health and medicinal purposes but some are commonly employed for use in the form of Nootropics: Piracetam, Oxiracetam, Aniracetam and Pramiracetam. Piracetam (known also as Nootropil) is the most commonly used Racetam supplement. It also possesses the privilege of being known as the very first Nootropic ever invented. Piracetam imposes its action via the stimulation of Acetylcholine receptor system leading to the release of neurotransmitters in the brain. Taking piracetam long term will improve brain health and also poses many other benefits in the short term. Piracetam is more devoid of side effects than a cup of coffee owing to it astonishingly low toxicity profile. Effects: Piracetam boosted cognitive ability on many metrics immediately. Improved learning and higher memory retention were experienced because of upgraded neuroplasticity. You will readily start to experience higher sensory perception and enhanced awareness. Piracetam also aids in studying and focusing because it heightens motivation and energizes you strongly. Dosage: About 1.2 to 4.8 grams for 4 times a day is recommended for Piracetam to have noticeable effects according to our users. You can buy 500 g of Piracetam in $39.99, thereby making it affordable compared to other Racetams. How to Take: Piracetam can be taken in form of powder by making a solution in water and can be combined with any other Nootropics you may want to stack together. Considering stacking with: CDP Choline, Alpha GPC or with any other source of choline as recommended by a physician. Piracetam depletes choline, and that is why having an adequate quantity of choline as part of your diet will help increase neurotransmitter formation. Centrophenoxine when stacked with Piracetam is known to boost or increase your recall speed – making your mind sharper, highly focused, rather more instantaneous and reflexive when it comes to fact-recall abilities. You can additionally see piracetam alternatives here. Aniracetam is a stronger and longer lasting cousin of Piracetam. It is fat soluble and takes a longer time to kick-in. This means you should take it with fish oil or another fatty food source and also realize that it may take longer for the effects to diminish. Aniracetam is a better stimulator of AMPA receptors than Piracetam. 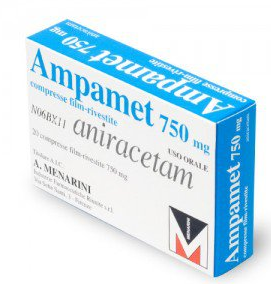 Effects: Aniracetam improves focus along with concentration as it is an AMPA receptor agonist. Aniracetam emerges as one of the best Racetams as well as Nootropics prescribed for studying. Aniracetam also boosts perception of sound and recognition of colors. It hastens the communication between two brain hemispheres, lessens social anxiety and increases creativity. 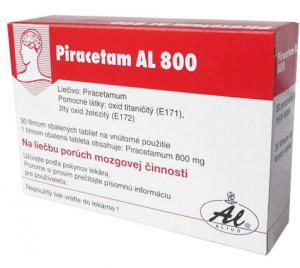 Aniracetam Dosage: About 600 to 3000 mg are recommended per day. Most people ought to take Aniracetam every 4 hours or as required to make sure that the effects last throughout the day. You may get a headache using this Racetam lest you supplement it with choline. How to Take Aniracetam: The optimal method to take Aniracetam powder is to make a solution in milk for it does not properly dissolve in water. Pure Aniracetam powder can be purchased for $17.99 for every 50 grams. Additionally you buy aniracetam in pill form as well which may make everything easier and as stated can be taken with any fatty food. You can see what other’s are stacking with aniracetam here. A very potent analog of Piracetam which has swifter mode of action than both Piracetam and Aniracetam. It is in a class of its own as it is more expensive yet, has a smaller dose, yet more expensive than Piracetam. Oxiracetam is very often used to improve motivation levels and to dismiss the symptoms of mental lethargy and fatigue, but it also comes out to be a cognitive enhancer apart from being a brain booster as many Racetams are popular for. Effects: Spatial memory is boosted with Oxiracetam use and learning abstract concepts is improved greatly. Oxiracetam increases choline acetylcholinetranferase levels which is responsible for the acetylcholine neurotransmitter. ATP levels are increased with Oxiracetam, which provides added energy for harder cognitive tasks. Oxiracetam’s side effects are almost nonexistent, however some individuals report fatigue following longer periods of studying or work during the use of this Nootropic. It is best to consult a physician before starting Oxiracetam. Dosage: Oxiracetam dose is suggested at 750 – 1,600 mg a day. Most people should take their dose every 6 to 8 hours during studying or when performing any type of mentally tiring work. 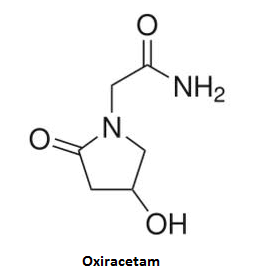 How to Take: Oxiracetam is soluble in water. For ideal results, stack Alpha GPC and Oxiracetam together. You can buy oxiracetam in bulk for the lowest price online here. Pramiracetam has 30x more potency than Piracetam. It is found to be the strongest among all Racetams and has the longest half life as well. These qualities are attributable to the fact that it is soluble in fat and has a greater bio-availability. Pramiracetam is stacked with other types of Nootropics and Racetams because it is known to greatly enhance the effectiveness of other compounds. More so it’s side effects anecdotally are said to be mild and equivalent to that of table salt. Effects: Pramiracetam is particularly recognized for boosting mental energy levels and increasing alertness for up to 8 hours following its intake. It makes learning easier by enhancing memory and boosting neuroplasticity. Dosage: Daily dosage for Pramiracetam is recommended at a much smaller amount for it is highly concentrated. In a 24 hour period between 100 – 1,200 mg of the compound should be taken. Most people will ingest one dose in the morning and a second one early in the afternoon to have the full effectiveness. 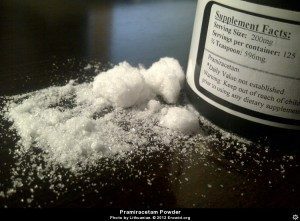 How to Take: Pramiracetam is found in white powder form and is soluble in fat. Like many fat soluble Racetams, you should make a solution with milk, not with water or with fish oil or krill oil. Click here to buy pramiracetam in powder or pill form. 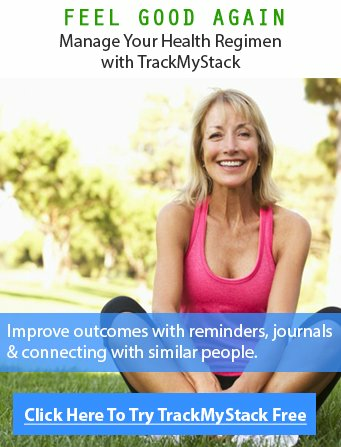 To see other nootropic stacks, click here.